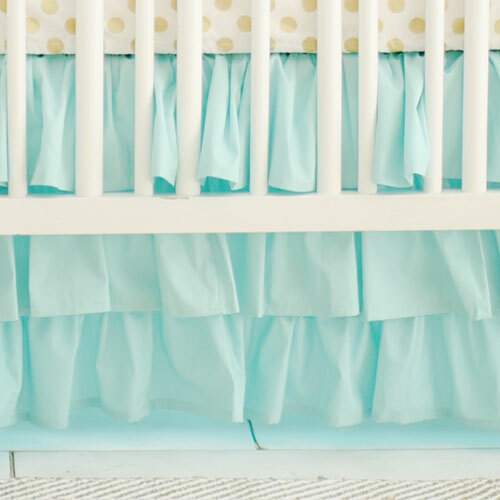 Searching for the perfect crib skirt for your baby's nursery? 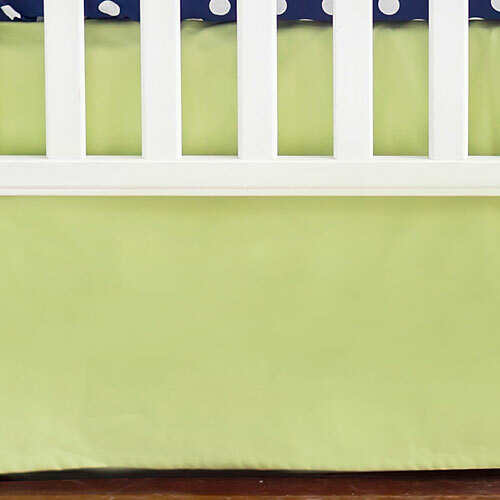 A green crib skirt can add the finishing touch to your child's crib bedding. 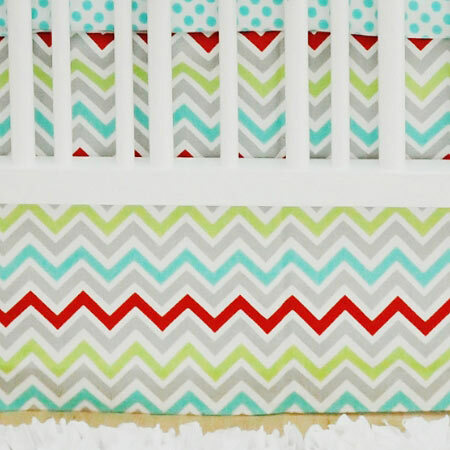 Along with our green and mint crib skirts, our collection of crib skirts features multiple colors, prints, and styles. Choose from our collection of solid colors, woodland patterns, chevron patterns, stripe patterns, polka dot patterns and many more. 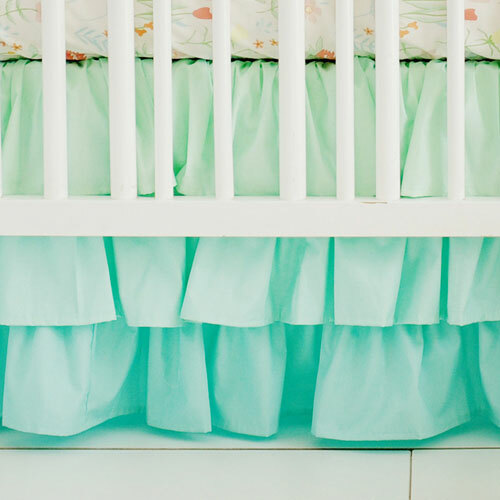 Popular crib skirt styles include a simple tailored crib skirt, crib skirts with bands and pleats and three layered ruffled crib skirts for a baby girl's nursery. 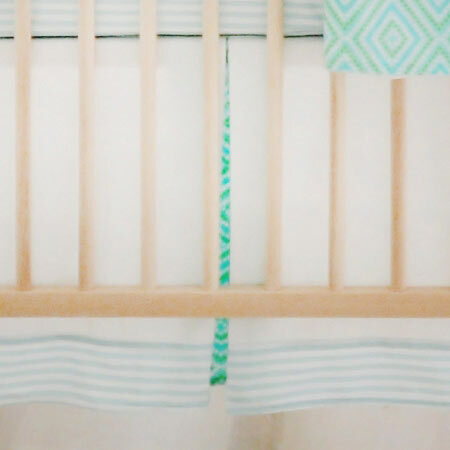 Make sure you check out all of our cotton crib sheets to coordinate with your nursery crib skirt! 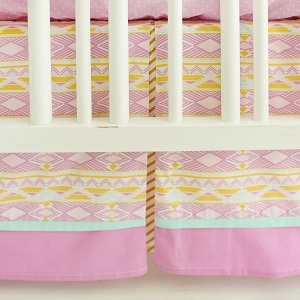 Tons of crib sheet styles in a variety of colors and 100% cotton, machine washable. 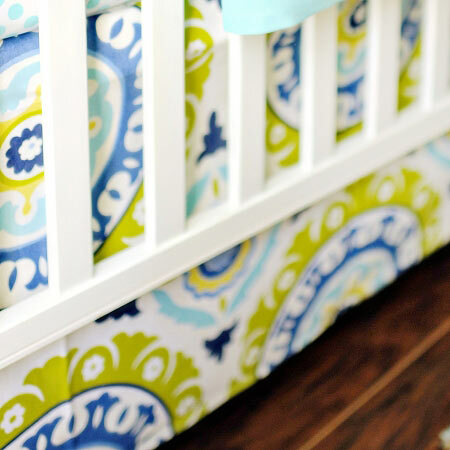 Mix and match crib sheets and skirts to quickly change the look of your baby bedding! 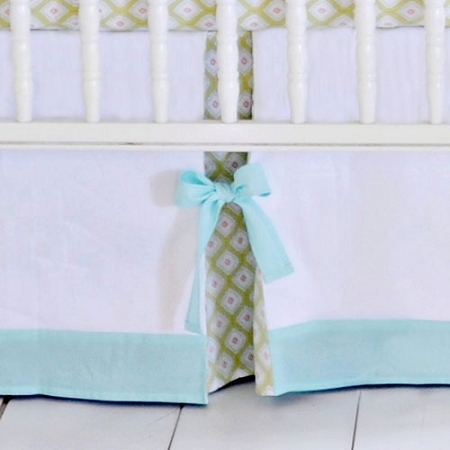 For a simple nursery, a plain tailored skirt can do the trick. If you are designing a fun, girly nursery, our three layered ruffled skirts are extremely popular. 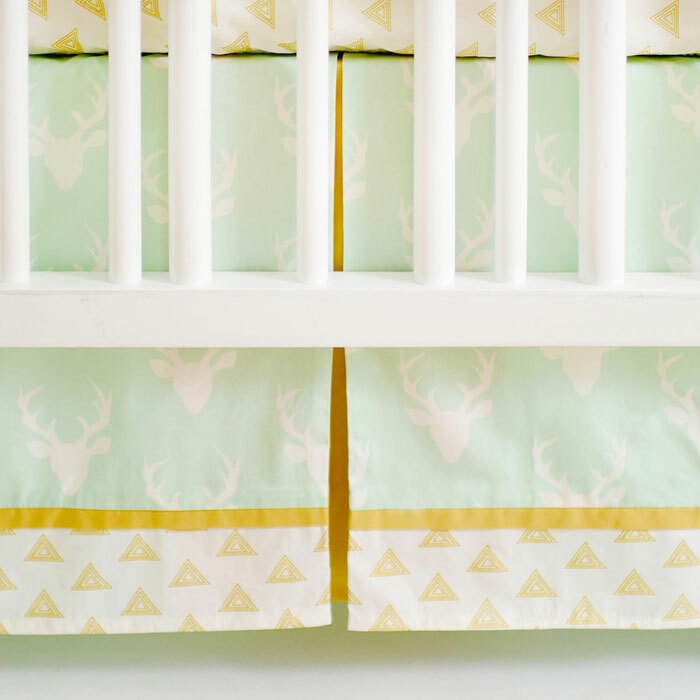 All of our crib collections include a coordinating bedding skirt, but we also offer our crib skirts as separates you can purchase to mix and match with any of our crib sheets, crib rail covers and crib bumpers. Can't find exactly the skirt you are looking for? We also offer custom baby bedding, where you can create your own style crib skirt in any of our over 200 nursery fabrics. 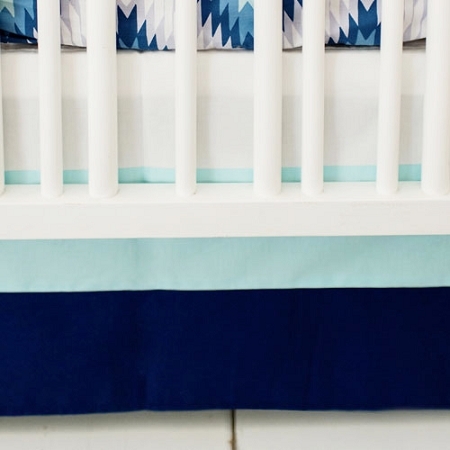 Coordinate any of our crib skirts with our other available crib separates including, Crib Sheets, Crib Rail Covers, Crib Bumpers and Baby blankets.